The hit New York Mysteries series continues! When a string of strange murders strikes New York City, you are called in to investigate. Witness reports point to otherworldly forces, since no human could have committed the crimes. You quickly realize the truth is even weirder than you could have imagined – a mysterious electrical force has been traveling through the city to claim its victims. Can you track down whomever – or whatever – is behind the murders and short circuit their deadly plans? 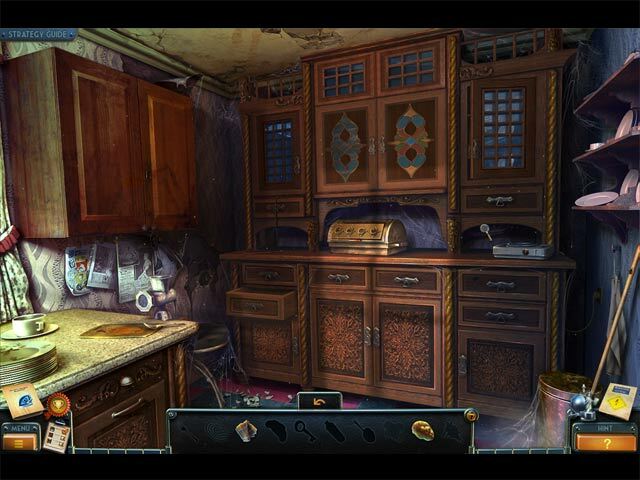 Find out in this electrifying Hidden Object Puzzle Adventure game! New York Mysteries: High Voltage is rated 4.3 out of 5 by 27. Rated 5 out of 5 by pcpat923 from A MOST ELECTRIFYING STORY! One of the best and timeless 5-BN experiences. Highly recommend! I would never purchase anything other than the CE, but this Daily Double is a great deal. Enjoy! -Mama Mia- Happy & safe Holidays to all BFG family and staff. Rated 5 out of 5 by denniann2 from what can murder people and turn their bodies to ashes? there are 3 levels of play. no custom but a really good map that uses teleportation to get from one point to another when necessary. a man that was on death row was going to be electrocuted and at the last minute the only thing left was his black and white prison uniform. the jail personnel had no idea what happened. 5 years later you are called in on a murder investigation after quite a few men have been murdered but no one can understand how they have been murdered and turned into ashes. you found out that the ones being murdered are the ones that were at the execution. there wasn't but 3 left and you are trying to save them by finding out the secret of the "electric man". i really enjoyed this game. it reminded me of a book i read called "the blue nowhere" by jeffery deavers that had a simiiar premise. get it if you like paranormal and unbelievable things. sequel....i feel sure since this is one. Rated 5 out of 5 by nandu23 from Fun! Great graphics and story. Cheers to the creators ! Rated 5 out of 5 by Antig from Original, Imaginative and Fun This is a game that I needed. Original, imaginative and, while not exciting , it held my interest completely. Nothing boring about this one and I want more just like it. Most mini-games were nothing I have seen before and while pretty easy, they were fun. The HOP were completely original in that there were no piles of stuff to sort through but a room where you found objects to progress through it. It honestly felt as though you were not in a HOP at all except that objects found were not available for the rest of the game. I was completely disappointed when the game ended and I must congratulate the developers for an enjoyable experience. Rated 5 out of 5 by Yanie1020 from Close to Perfect! Just loved almost everything about this game! I do have one complaint: I played in the most difficult mode. That should tell the developers that I want no hints unless I choose to hit the hint button. But when I clicked on an area of interest I would get a message like "I'll need a crowbar to open this" or "I could use a lock pick on this". (Those are just examples. They're not necessarily part of this game.) That's way too much information for someone who has played upwards of 200 of these games, as I have. I think I can figure out when a crowbar or lock pick is needed. I'm still giving this 5 stars because I just loved the game. Best graphics I've ever seen. I don't recall seeing any hidden object scenes. Puzzles were fun. Can't wait for the next one in this series. I'll be buying it! Rated 5 out of 5 by Fancee62 from Interesting Game This game is one of my favorites so far. 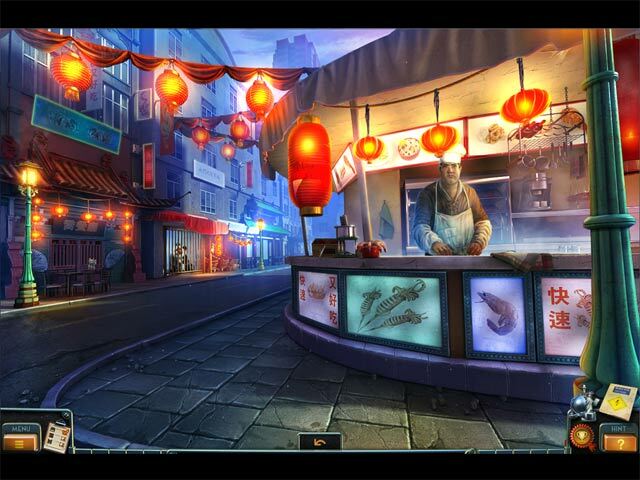 Normally I don't like hidden object games, I'm a big fan of the point and click games. However this was a different kind of hidden objects. It was helpful to skip a puzzle if you choose too. It wasn't too hard and I enjoyed it to the fullest. Rated 5 out of 5 by 9otters from More A HOPA Than A HOG and FULL Of 5-Star Fun! Based On Completed Game I bought the CE version of this game without even completing the demo. The story grabbed me and the gameplay sealed the deal. Other reviewers and the BFG description explain the story so I'll just tell you what made New York Mysteries: High Voltage so entertaining for me. Getting me to use my brain is the quickest way to my gaming heart. This one does not "hold your hand" and give you "in your face" answers before you even ask the questions. There are situations where you just have to figure things out for yourself. The "trial and error" element was fantastic. There was one item I tried THREE different tools on before I got the right one...and the game KEPT LETTING ME TRY. Finding the right solution all on my own was VERY satisfying. 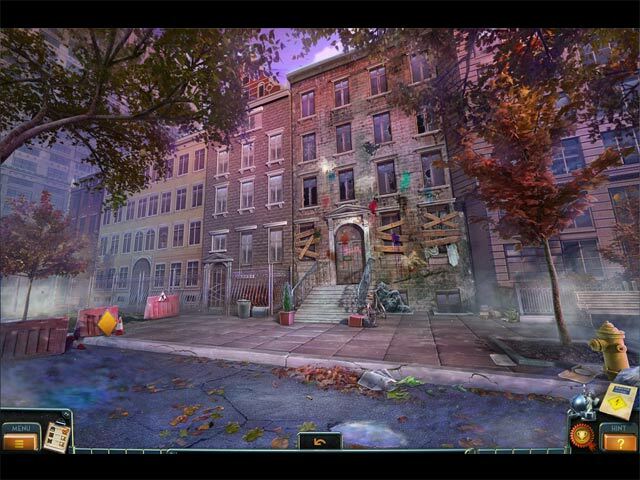 The hidden object areas consisted of entire rooms and played more like puzzles. ALL were the progressive silhouette type, with very few items in plain sight. I had a bit of difficulty with two of them but, after heading to the forums for help, I discovered what I had missed. GOTTA love those forums and the helpful people there. There were 21 mini-games, good fun, with a variety of difficulty levels. The Devs did a good job placing them and pacing the game. There is a journal that is essential for holding clues to solutions. The story was different than the norm. The graphics were perfect for the subject/theme. Because we have a lot of ground to cover, the jump map was perfect. There were three customizable difficulty options. The CE was loaded with extras. It had a bonus game, strategy guide, four sets of collectibles, 35 morphing objects, 20 "slides" to find, re-play of ALL the mini-games, achievements, seven actual jigsaw-type puzzles of pictures from the cut-scenes, and the other expected extras. The map had icons to show whether all collectibles had been found. The 20 slides were 20 progressively more difficult versions of one game. I'm STILL working on those. The bonus game was a prequel and showed the events that led up to how the main story got started. Very good. Another reviewer said...choose the SE, choose the CE...at least choose one of them! I have to agree. This is one of the BEST games to be released, so far, this year. I enjoyed it so much, I got the previous game in the series...New York Mysteries: Secrets of the Mafia CE. I thought it was every bit as good as this one! Thank you Devs and BFG. Keep them coming! Hope YOU find some fun today. Happy gaming. Rated 5 out of 5 by Kirland from Fantastic Game -- Possibly "Game of the Year" Just wanted to add to all the five star ratings on this game. Some of the best mini-games and hidden objects that I have played in a while. This game was very different from some of the fantasy games. I really appreciate the thought and time that the developers put into making this game. 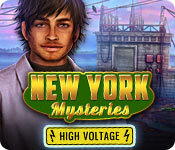 Kudos to both Big Fish and the Developers of New York Mysteries: High Voltage. Keep them coming! A series of shocking – and otherworldly – murders has struck New York City, and you're the only one who can solve them!